Baltimore free tix: wanna see Laggies? SYNOPSIS: Megan (Keira Knightley) might be 28 years old but she mostly behaves like an adolescent. When her boyfriend (Mark Webber) asks her to marry him she remains true to form and pretends to go on a career retreat. Instead she decides to hang out for a week with her new best friend, the 16-year-old Annika (Chloe Grace Moretz). What: ADMIT TWO passes that can be used during the theatrical run of Laggies! Where: The Charles Theater, Baltimore, MD. Because that’s where it’s playing! And, The Charles is amazing. Why: Because free movies are awesome. How: Hit me up on the e-mails! Send me an e-mail with the subject TORTOISES ARE CUTE (see prior Laggies poster) and I’ll choose 12 winners from the entrants. Easy-peasy. This entry was posted in Contests & Giveaways and tagged Free Screenings, Giveaways. Bookmark the permalink. 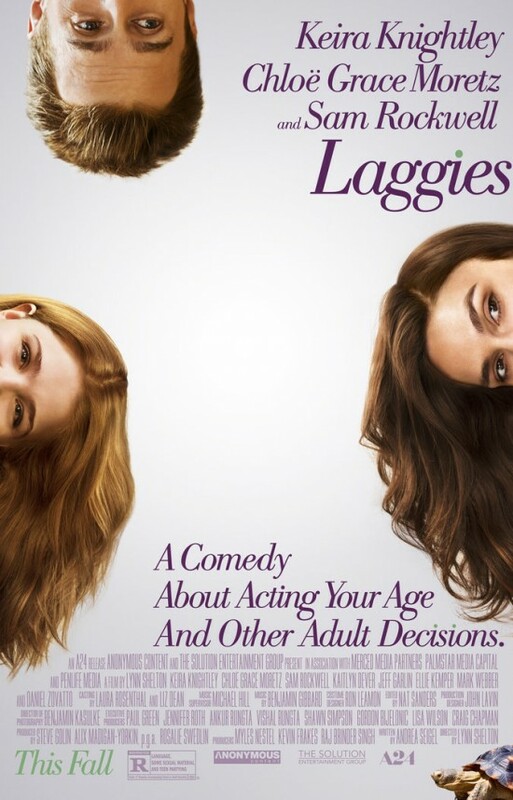 1 Response to Baltimore free tix: wanna see Laggies?